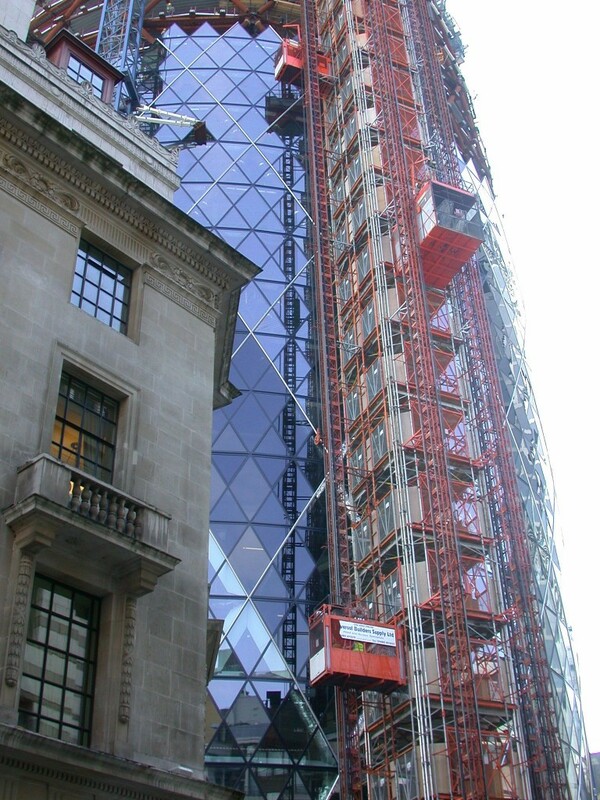 The Swiss Re Tower at 30 St Mary Axe, commonly known as “The Gherkin”, is now one of the most recognisable buildings in the City of London. 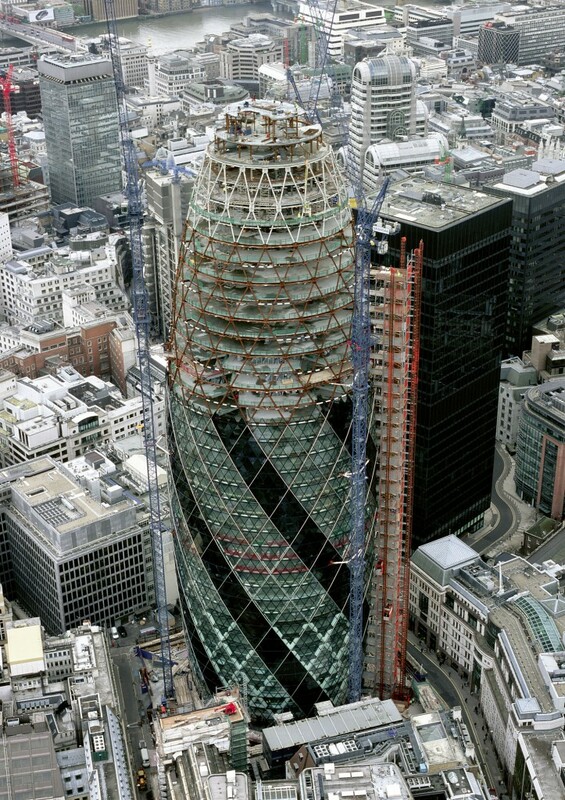 David Littlejohn of the Wall Street Journal describes it as, “the most ingenious and elegant new skyscraper built anywhere in the world for at least 30 years”. The cigar shaped building is 180 m in height with 40 storeys offering 550,000 square feet of net lettable space. 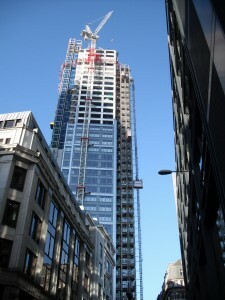 It is the second tallest building in the City of London. 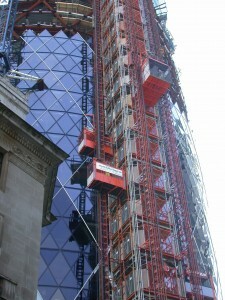 Its neighbour is Tower 42, which is the tallest at 183m. On a building of this height one of the most important considerations is how to move men and materials to the workface as quickly as possible. 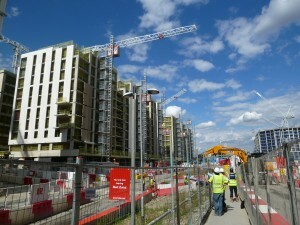 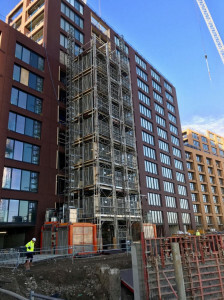 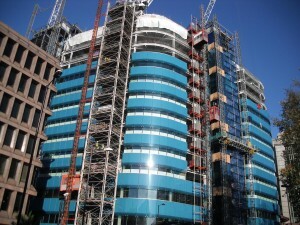 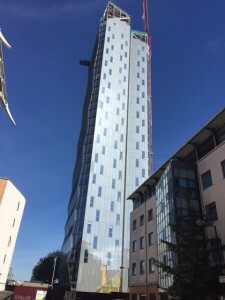 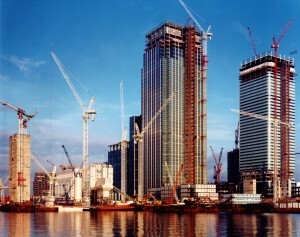 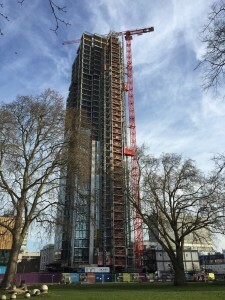 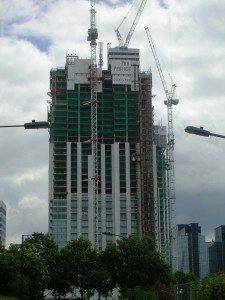 To do this Skanska contacted UBS for expert advice and to understand how the hoisting was carried out at Canary Wharf and the concept of how the common tower works. 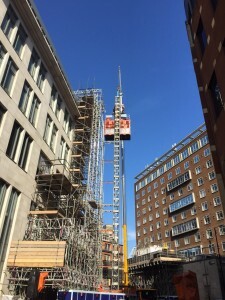 One large Mammoth material hoist with a capacity of 4000kg and three smaller high speed passenger / material hoists with a capacity of 2800kg were sited externally on a common tower; the latter travel at 90 metres per minute. 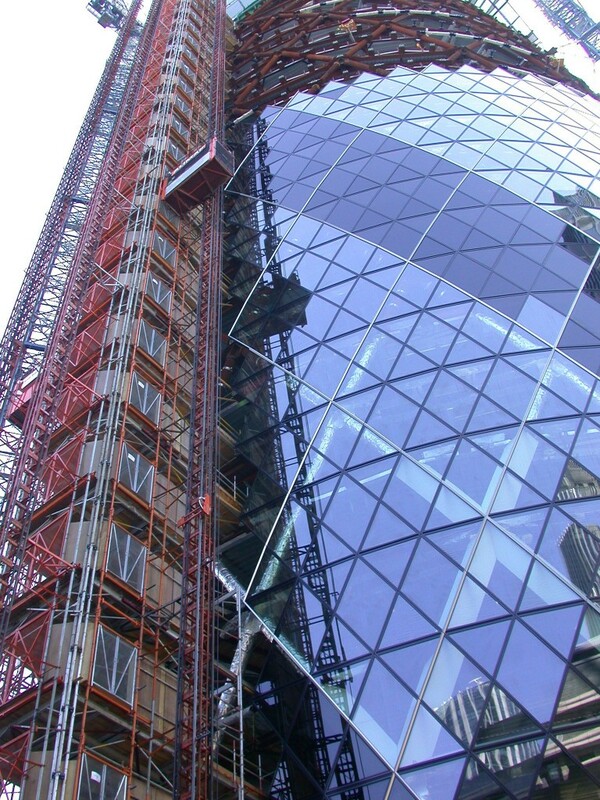 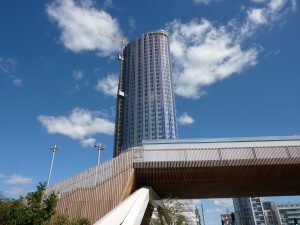 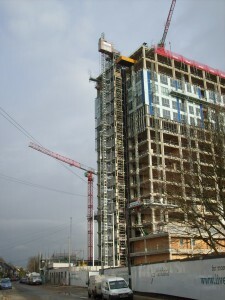 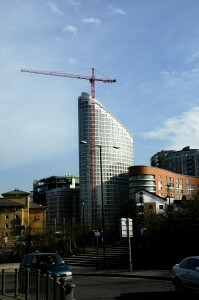 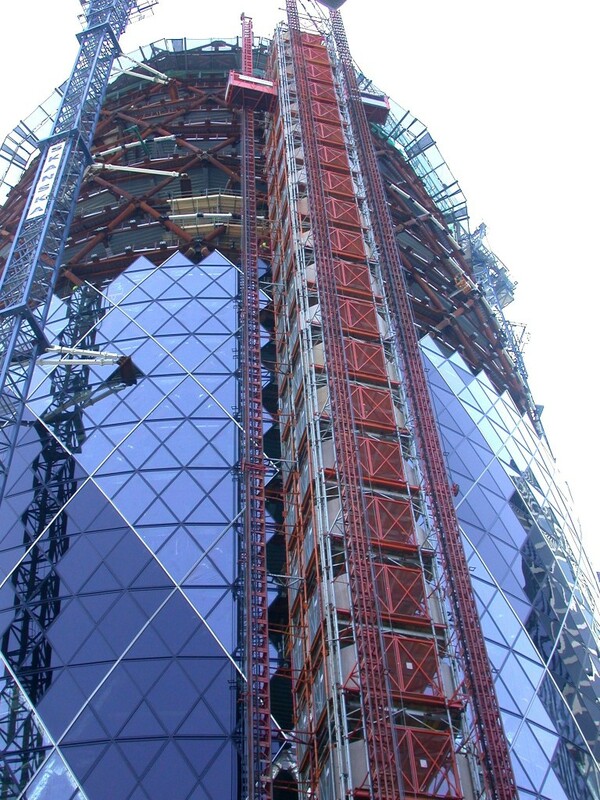 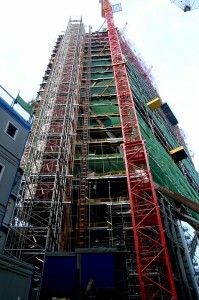 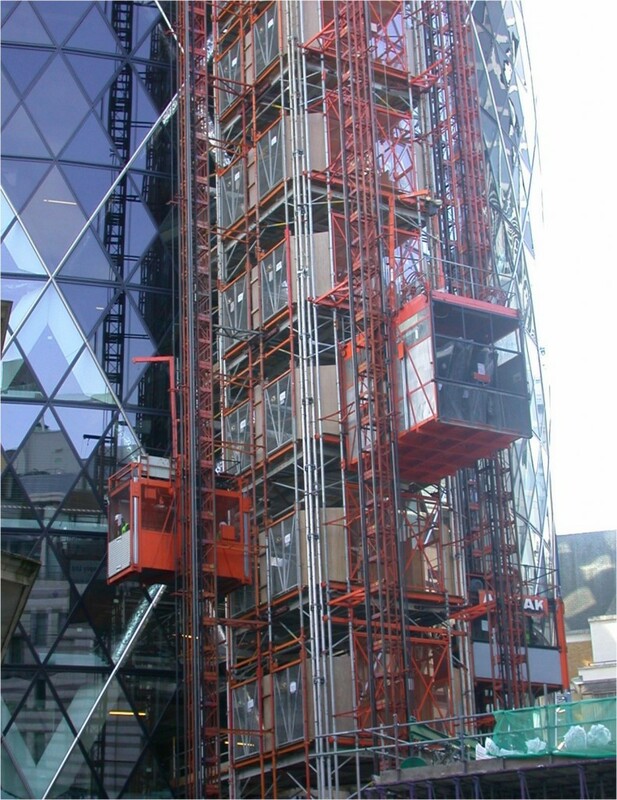 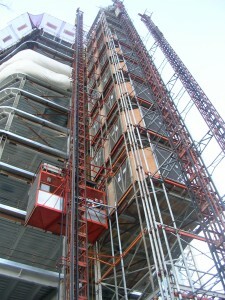 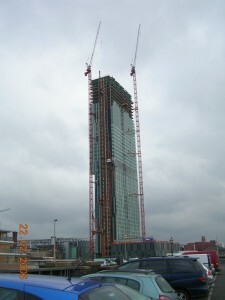 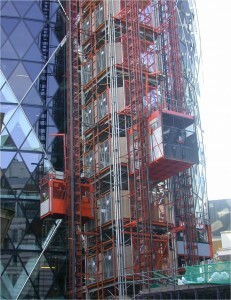 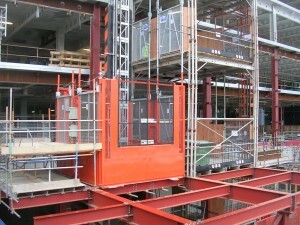 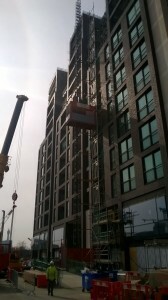 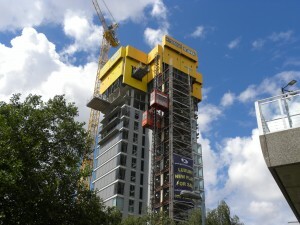 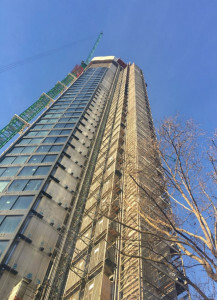 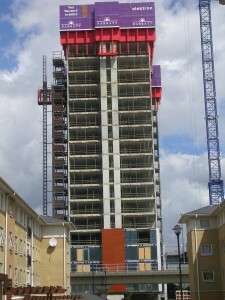 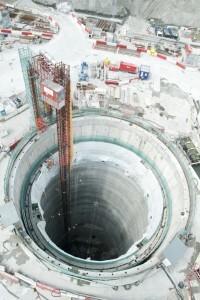 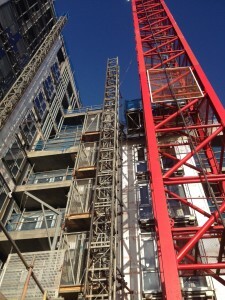 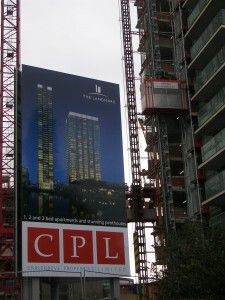 A further high speed hoist was positioned inside the high-rise lift shaft in the central core.